At last!! 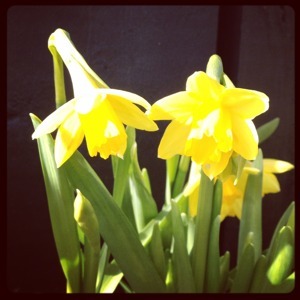 The sun is shining and all nature responds with Spring flowers and birds beautiful singing! Since it's Easter this week I have been working with music for the Holy week at Bromma Folkhögskola. My singing students have been introduced to Stabat Mater by G B Pergolesi. On Good Friday I will perform this beloved piece together with alto Mikael Bellini in Västra Ryds Kyrka at 15.00. Most welcome! 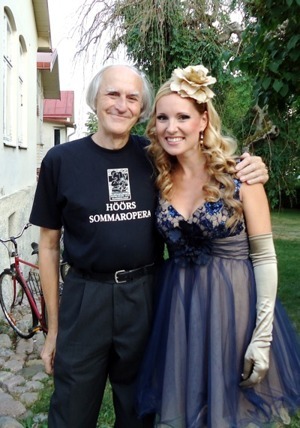 Viggo Edén and Hannah Holgersson August 5th 2010. Thank you for important years of music education through my childhood in Höör! Thank you for sharing your music and your musical knowledge. Thank you for your energy and spirit in every single project you initiated. And, thank you for believing in me!! Rest in peace, dear Viggo! Gustaf Sjökvist and Hannah Holgersson November 14th 2010. I'm so greatful for all magical moments of music we shared together; B minor Mass by J S Bach, Requiem by W A Mozart, Mass in C minor by W A Mozart, to mention a few. Thank you for always being so kind and for all meaningful talks before and after concerts. 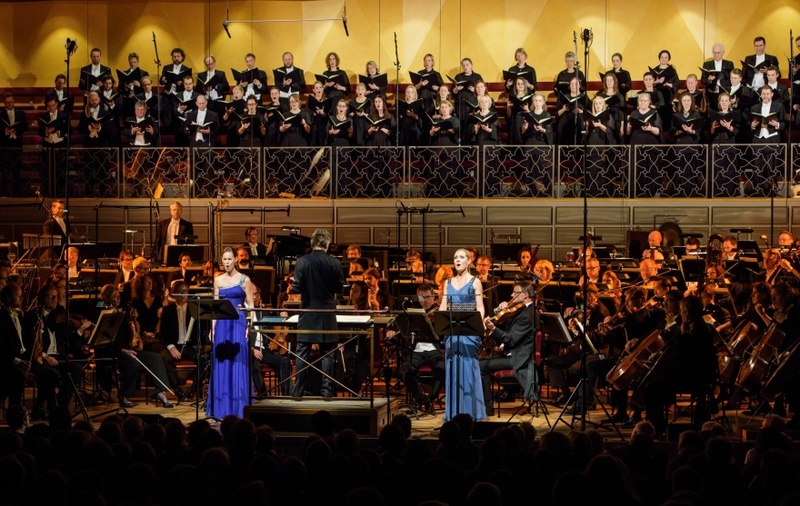 The Requiem by Gabriel Fauré, the 26th of December, was my last concert with you. 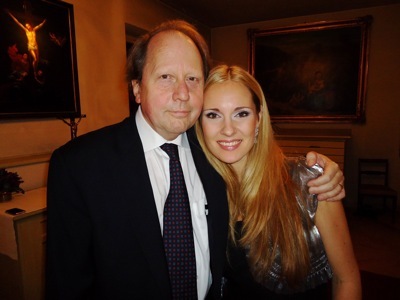 Dear Gustaf, rest in peace! Hannah Holgersson singing "Aus Liebe" during dress rehearsal. 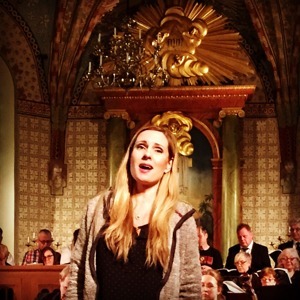 One year ago I was a part of the successful stage production of St Matthew Passion (by J S Bach) at Folkoperan, Stockholm. 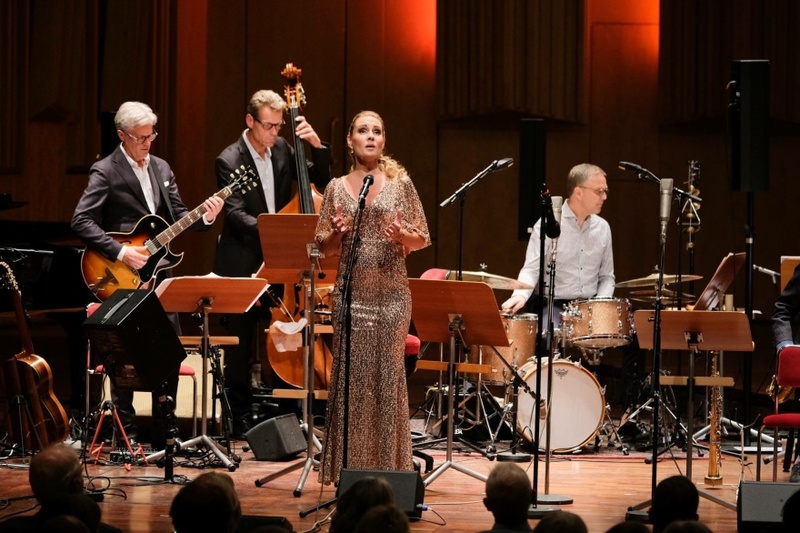 Tonight, in Vårfrukyrkan Enköping, I had my first reunion with the masterpiece since last year and it touched me deeply. This music is as soulful and beautiful as it is brilliant composed, and it's always a joy being a part! 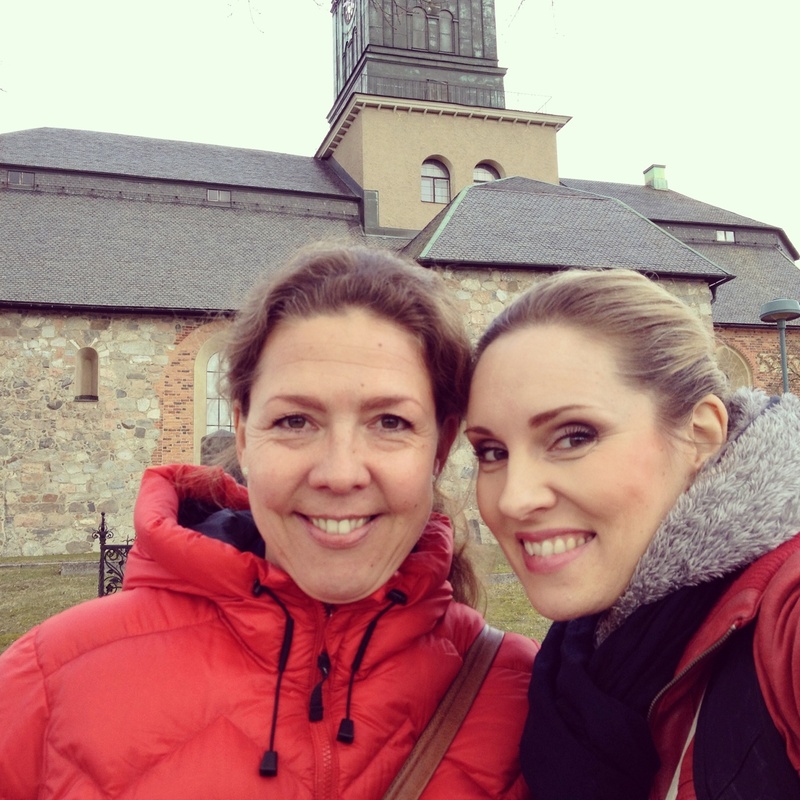 Ivonne Fuchs and Hannah Holgersson at Vårfrukyrkan, Enköping. Today we met for rehearsals in Vårfrukyrkan, Enköping. Last time I sang in this beautiful church was November 2013, doing Israel in Egypt by G F Händel. This time it's St Matthew Passion by J S Bach. So wonderful to be a part of this heavenly music again!! 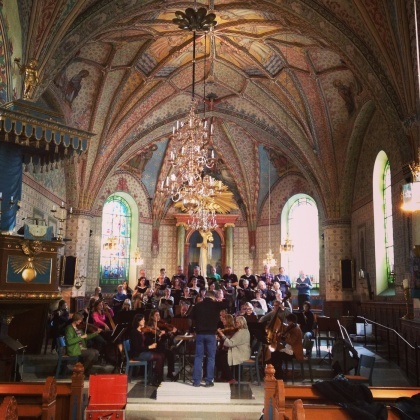 Rehearsal of St Matthew Passion in Vårfrukyrkan, Enköping. 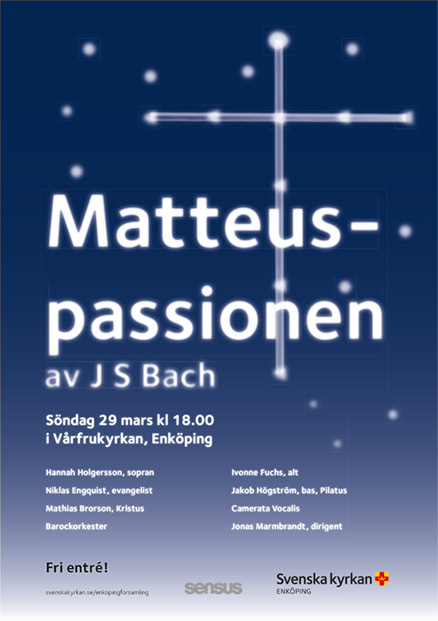 St Matthew Passion by J S Bach, the 29th of March at Vårfrukyrkan Enköping!